Hamas sleeper cells in West Bank pose significant threat to Israel. Palestinians take part in a protest against a social security law proposed by the Palestinian Authority in the West Bank city of Ramallah on November 12. Israel’s Shin Bet security service has foiled 480 attacks in the West Bank this year, Director Nadav Argaman told lawmakers on November 6. “Argaman said Hamas terrorists in the West Bank have been trying ‘with everything they have’ to mobilize operatives to carry out attacks against Israel with guidance from Gaza, Turkey and Lebanon,” Times of Israel reported. It has been exposed that [Hamas leader Salah Arouri] received a special budget to prepare for an uprising in the West Bank. He is trying to arm sleeper cells for the day that Hamas decides to activate them. They are waiting for when they think the time is ripe to launch a revolution. Hamas in Gaza is intent on preparing armed sleeper cells throughout the West Bank—not only to create an ability to attack Israel, but also to target its internal rival, the Palestinian Authority. They believe that the day will come when they can take over the West Bank, like they did in Gaza. Palestinian Authority President Mahmoud Abbas’s health has been in decline the past few years. His leadership is weak, and Hamas is seeking to take over the West Bank after violently wresting Gaza from Fatah in 2006 and 2007. 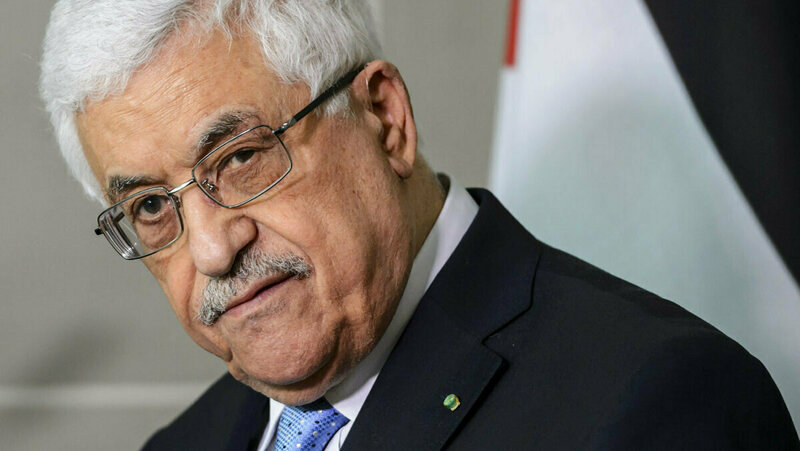 If Abbas’s health continues to decline, he may step down from office. He has publicly stated that he will not run in the next election, whenever that may be. This power vacuum could lead to infighting among Fatah’s leaders, which could be exactly what Hamas is waiting for to launch its revolution. The real power behind the Palestinians is Iran. No other nation would dare finance and blatantly encourage such terrorism in Israel. Iran has even been caught publicly sending enormous amounts of weapons to the Palestinians. Virtually the whole world knows what Iran is doing, and Israel’s terrorist problem keeps rapidly getting worse. Iran is working to threaten Israel on multiple fronts. Through its proxies in Lebanon, Syria, Iraq and the Gaza Strip, Iran has completely surrounded Israel. Israeli Prime Minister Benjamin Netanyahu has stated that if Israel did not have security forces in the West Bank, Fatah (the ruling party in the West Bank) would “be overrun in two minutes. A couple of years ago we uncovered a plot of 100 Hamas men to overthrow [Mahmoud Abbas]. Overthrow? Kill him. Not kill him politically. Kill him. So, if we weren’t there, they’d not be there, which is exactly what happened when we left Gaza.” This provides more evidence that Hamas is waiting for—or in this case trying to incite—the removal of Abbas in order to seize the West Bank. The stage is set for a violent conflict the moment Abbas is out of the picture. And the focus is on Jerusalem. Jerusalem, which means “city of peace,” has historically been a city of war. 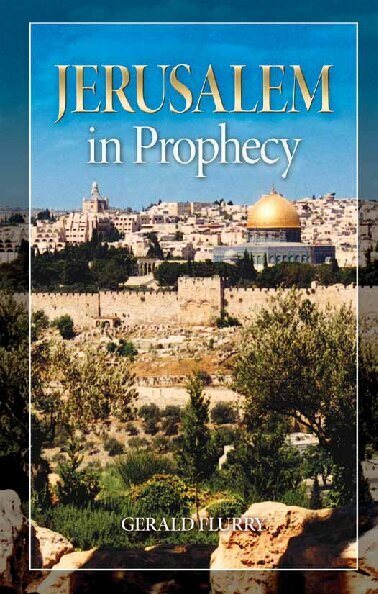 In his booklet Jerusalem in Prophecy, Mr. Flurry discusses this city’s incredible importance. The booklet covers the birth of the state of Israel, its miraculous history, and how the nation has lost its fighting spirit and has instead turned to attempts at negotiating peace. (For more detailed information, request your free copy today.) This peace process will lead to Israel’s downfall. “One half of Jerusalem is to be taken captive,” Mr. Flurry writes. “Notice how specific this prophecy is. East Jerusalem—one half of the city—will be conquered by the Palestinians!” Iran and Hamas’s goals both align with this prophecy in Zechariah 14:2. Israel knows it cannot make the same mistake it did in Gaza, but that isn’t enough. If a succession of war breaks out and Hamas sleeper cells are activated, it will be hard for the Israeli forces to quell the violence, especially if the population supports the Hamas takeover. Hamas will gain control of the West Bank. East Jerusalem will then be its next target. That is why this is such urgent news: These events are only a few years away. Don’t be fooled by the deceptive calm in the West Bank, because it is about to explode into violence. To learn about where this explosion is leading and why you need to watch it, order your free copy of Jerusalem in Prophecy.